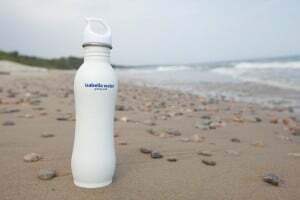 I love the sleek design and cheerful blue color of the Isabella Water Bottle which is made of stainless steel (it also comes in white or stainless steel). We have been taking this water bottle everywhere so we always have drinking water on hand when the kids inevitably tell me they are thirsty as soon as we leave the house. 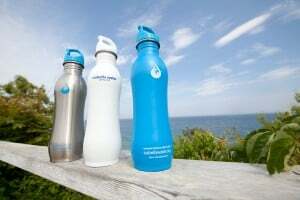 I have stopped buying plastic disposable water bottles and like that my kids are not exposed to germs from dining out of public water fountains.